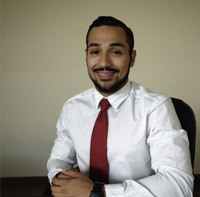 Nathan Jaramillo has been a Wellness Advisor at AAI Clinics since March 2015. Since 2009, Nathan has been actively assisting patients reach their wellness and health goals. Nathan’s genuine care is evident in his attentive service and the unique way he has of educating and instilling change in his assigned patients. Nathan Jaramillo works closely with his patients to ensure that they have an excellent experience. He believes in healthy living and fitness as the way to longevity and increased energy, and he inspires his clients to adopt this philosophy. Nathan is passionate about his role as a Wellness Advisor and he guides his patients every step of the way on the journey to change their lives.